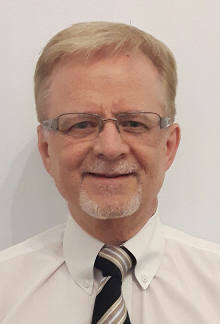 Dr. Leck received his pre-chiropractic education at the University of Toronto where he studied the basic sciences such as inorganic chemistry, organic chemistry, biology, along with basic physiology and anatomy courses. After receiving his Bachelor of Science degree he was accepted at the Canadian Memorial Chiropractic College (CMCC) in Toronto. During his four years at CMCC, courses included biochemistry, a major emphasis on anatomy and human physiology, X-ray, diagnosis, chiropractic adjusting techniques and patient care in the College outpatient clinic. After graduating as a Doctor of Chiropractic, he was accepted into a two year residency program in Clinical Sciences. He established his practice in the Toronto area in 1980. Dr. Leck has received extensive post-graduate training in Activator Methods Chiropractic Technique and achieved Advanced Proficiency and Associate Clinical Instructor status. He has a passion for teaching and served in the position of Assistant Clinical Professor at CMCC for 11 years. He has also studied in the fields of Cranial Chiropractic and Pain Neutralization Technique. Dr. Leck is married to Cathy, and they have six children and three grandchildren. He and Cathy are also very active in leadership at their home church in Newmarket. It’s a common occurrence around the Leck household to hear the children requesting spinal check-ups and adjustments. “I consider myself an excellent listener and hope I get the opportunity to meet you in person to discuss your specific health challenges. Call our North York chiropractic office to get started with chiropractic care today!